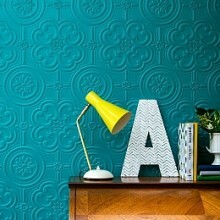 Anaglypta is one of the best known and oldest wallpaper brands, starting in 1887. The Anaglypta brand is synonymous with paintable wallpaper and remains the definitive collection offering a very wide range of designs. 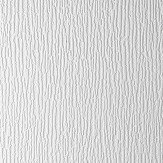 A luxury textured blown vinyl wallcovering on a flat backed paper. Pretty floral trail. 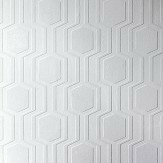 This wallcovering is white and is designed to be painted a colour of your choice. Please ask for a sample for true texture match. Pattern repeat is 32cm. A premium, deeply textured blown vinyl wallcovering on a flat backed paper. A vertical folded paper effect. 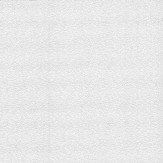 This wallcovering is white and is designed to be painted a colour of your choice. Please ask for a sample for true texture match. Pattern repeat is 64cm. A deeply textured wallcovering with a tough surface suitable for high traffic areas. Embossed motif, similar to Fleur de Lys. This wallcovering is white and is designed to be painted a colour of your choice. Please ask for a sample to see true texture match. Pattern repeat is 10.7cm. 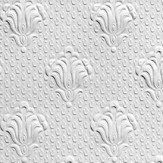 An embossed wallcovering for that more durable finish that can easily be painted to give the desired results. Tiny embossed dotted motif. 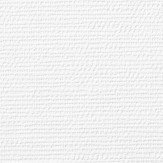 This wallcovering is white and is designed to be painted a colour of your choice. Please ask for a sample for true texture match. 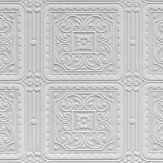 An embossed wallcovering suitable for use in areas that require high durability. Classic raised 'bubble' design. This wallcovering is white and is designed to be painted a colour of your choice. Please ask for a sample to see true texture match. Free pattern match product. 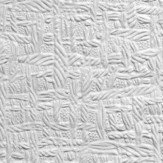 An embossed wallcovering suitable for use in high durability areas. Classic Anaglypta design. 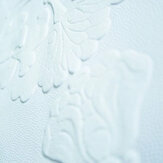 This wallcovering is white and is designed to be painted a colour of your choice. Please ask for a sample to see true texture match. Pattern repeat is 13.5cm. 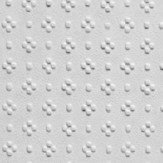 An embossed wallcovering suitable for use within areas of high durability. Large weave design. 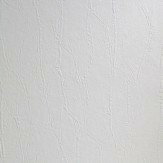 This wallcovering is white and is designed to be painted a colour of your choice. Please ask for a sample to see true texture match. Pattern repeat is 26.7cm. 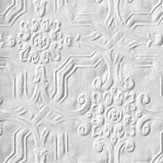 An embossed wallcovering for that more durable finish that can easily be painted to give the desired results. 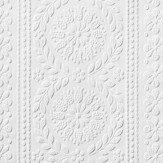 Small embossed floral trellis design. This wallcovering is white and is designed to be painted a colour of your choice. Please ask for a sample for true texture match. Pattern repeat is 7.6cm. 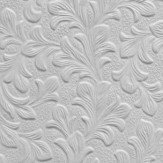 Embossed wallcoverings for that more durable finish that can easily be painted to give the desired results. Random geometric design. 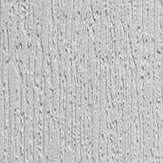 This wallcovering is white and is designed to be painted a colour of your choice. Please ask for a sample for true texture match. 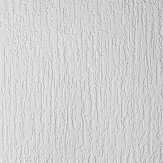 An embossed wallcovering for that more durable finish that can easily be painted to give the desired results. 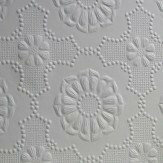 Delicate embossed flower motif. 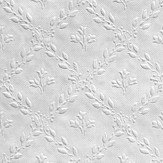 This wallcovering is white and is designed to be painted a colour of your choice. Please ask for a sample for true texture match. 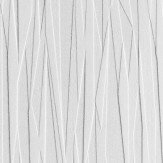 A textured wallcovering for use in areas of high durability. 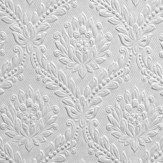 All-over embossed leaf design. 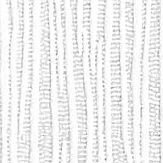 This wallcovering is white and is designed to be painted a colour of your choice. Please ask for a sample to see true texture match. Pattern repeat is 27 cm. 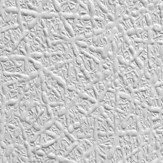 An embossed wallcovering for that more durable finish that can easily be painted to give the desired results. Textured stripes, inlaid with embossed floral detail. This wallcovering is white and is designed to be painted a colour of your choice. Please ask for a sample for true texture match. Pattern repeat is 9cm. 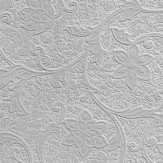 A premium embossed wallpaper, suitable for walls and ceilings and flat backed for easy hanging. 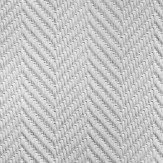 Traditional herringbone design. This wallcovering is white and is designed to be painted a colour of your choice. Please ask for a sample to see true texture match. pattern repeat is 0.1cm. 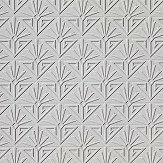 A blown vinyl wallcovering with a textured design featuring various sized squares in a fun, retro inspired geometric pattern. 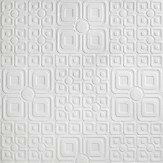 This wallcovering is white and designed to be painted a colour of your choice. Please request a sample for a true texture match. Pattern repeat 64cm. 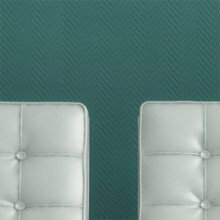 A luxury textured vinyl with a retro geometric design - six sided hexagon shapes inside zig zag vertical lines. A paintable white design - paint it the colour of your choicefor perfect results. Please request sample for true colour and texture. Pattern repeat 16cm / 6 inches approx straight match. 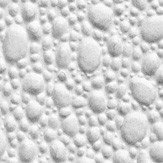 Pre coloured blown vinyl wallcoverings for easy application, these textured vinyl wallcoverings are perfect for adding warmth and interest to walls and ceilings. 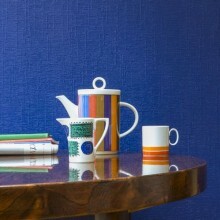 Some new textured blown vinyl wallcoverings for contemporary homes. 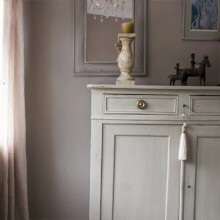 Disguises imperfections and are an excellent surface for paint. 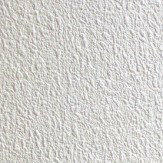 A small collection of practical, easy to use blown vinyl paintable white wallcoverings. 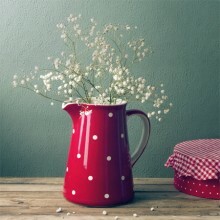 Some lovely new designs have been launched and we are delighted to be able to bring them to you here. These wallcoverings are designed to be painted, a colour of your choice and are a subtle way of creating texture and interest in your room. A premium triplex wallpaper, designed to be easy to hang and use less paste. Perfect for walls or ceilings and high traffic areas such as hallways. 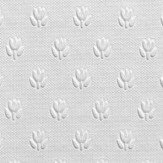 Tough and durable; covers minor cracks, lumps and bumps; flat backed. Armadillo, the pattern you can't flatten! 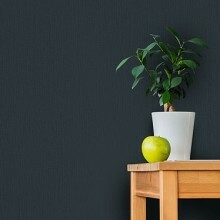 Offers a harder knock and tear resistant surface than other textured wallcoverings. There's no soaking needed, you just paste the wall or the paper and hang - ideal for today's busy life! 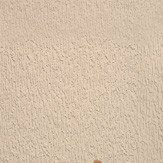 Tough and durable; covers minor cracks, lumps and bumps; will not stretch or shrink; dry strippable. 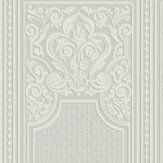 Anaglypta heritage Dado panels add a timeless and architectural period of elegance to any interior. Covers minor cracks, lumps and bumps. 10 panels on a roll, flat backed & peelable. Fits below dado rail -trim to correct height. 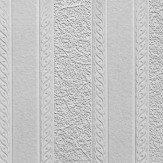 Deeply textured embossed wallcoverings with a tough surface suitable for high traffic areas. Tough and durable; covers minor cracks, lumps and bumps; ideal for walls and ceilings. 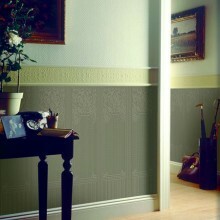 A collection of Fine, Luxury and Premium paintable textured vinyl wallcoverings, on a flat backed paper. This versatile collection is easy to repaint and offers the perfect base for decorative effects. Covers minor cracks, lumps and bumps; peelable.